Lot’s of things have made it tough for me to be my best as of late. The challenges that political corruption have placed on the U.S. is one source of anxiety for me. Thinking of the millions of workers in this country who have to rely on food stamps to make ends meet have me down. Gun worship and violence that lead to the massacre of children here and abroad — the list could be endless. Closer to home there are family and friends facing serious health challenges. There are those that I love who are looking desperately for work and others working desperately to achieve what’s important to them. At times, I find it difficult to remain happy through all these various circumstances in life and in the lives of those I care about. But regardless as to how unhappy my surroundings and thoughts may be, I’ve noted that not a single day has gone by that I can remember where I did not smile. Being someone who smiles a lot — who, in fact, is teased for being “Pollyanna” in my perpetual hopefulness / smiley-ness, I started wondering, do smiles cause happiness? I couldn’t prove it, of course, but I was willing to swear that simply smiling makes me feel happy, so I decided to research it. 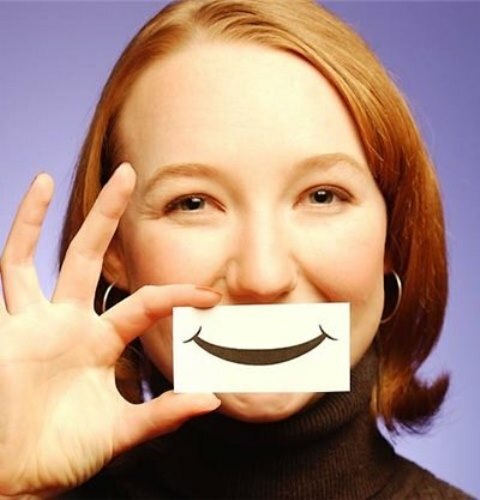 While lots of research on smiles triggering happiness was performed in the last half-century, that spurt of interest was actually a renewed interest in the topic. The theory goes back to Darwin, who proposed in the 19th century that facial expressions didn’t only reflect emotions, but also caused them. The evidence all points toward smiling as a cause of happy feelings. Subjects were asked questions that pinpointed their emotional state before and after smiling, and they overwhelmingly scored happier after smiling. Most studies on the topic note the cause-and-effect relationship without having a definitive explanation for it, however. According to one scientist, the actual facial changes involved in smiling have direct effects on certain brain activities associated with happiness. So there it is … proof, positive, that smiling causes happiness. All the more reason to smile often! Thanks for sharing a smile!